Twinlets - Find your twin! is the Most Useless Website of the week 27 in 2016. Find your twin - Who looks like you? Look Alike Search Engine. This website will match your photo with 150 million faces in its global faces database and find the best match. 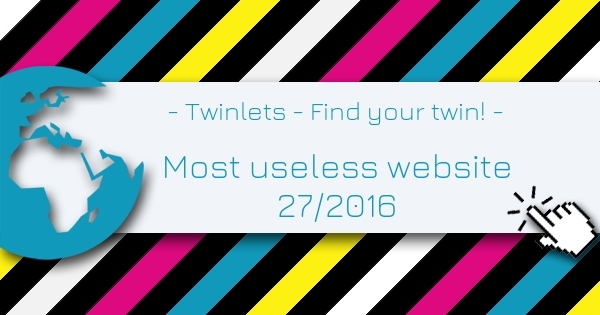 Twinlets - Find your twin! Rated 3 out of 5 based on 16 user ratings. List of the most useless websites in 2016.